" I absolutely love this mask. 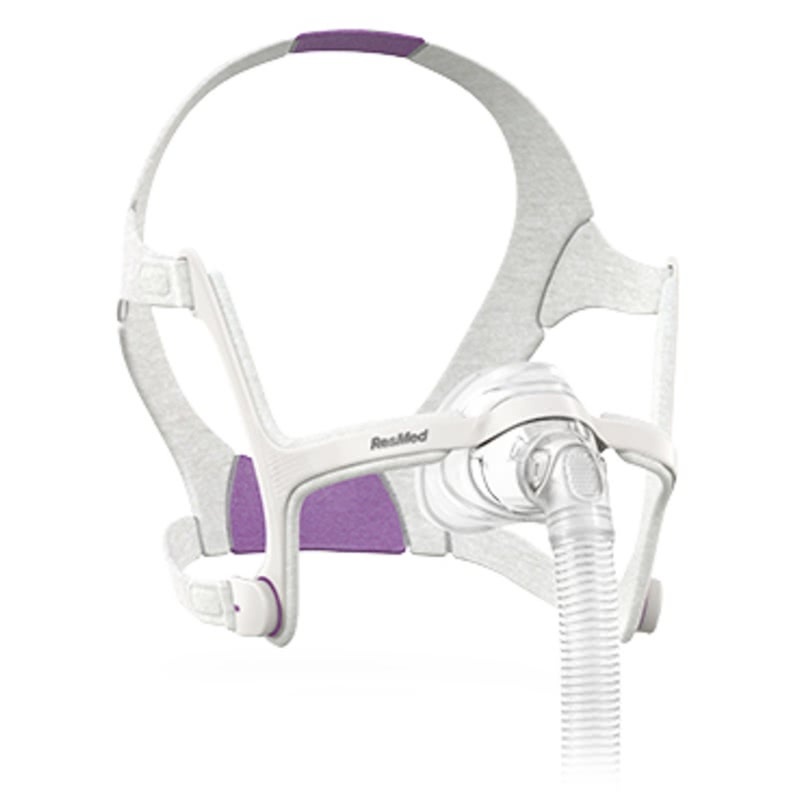 No leaking, comfortable and great mask for cpap pressure of 15. " " I have tried several different headgears and cpap masks over the years. None of them are as quiet and comfortable as the Airfit N20. I love it. " 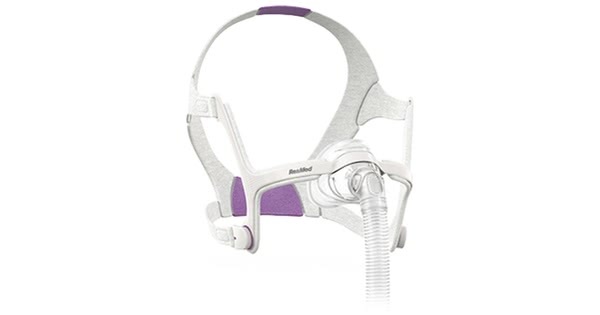 The AirFit™ N20 for Her Nasal CPAP Mask with Headgear is a feminine version of the AirFit™ N20 mask by ResMed. Accented with a violet plush headgear, the N20 for Her includes the innovative InfinitySeal™ cushion, padded frame, and magnetic headgear clips. 8% of Nasal Mask product buyers choose this product. Looking for the standard version of this mask? See the AirFit™ N20 Nasal CPAP Mask with Headgear. For choosing the correct size, please use the sizing guide found towards the top right of this page. Measure the ruler on the printed sizing guide to ensure it printed properly and to scale. The sizing guide uses the width of the nose as its determining factor. The AirFit N20 has three interchangeable cushion sizes - small, medium, and large. Each size cushions easily clicks into the same mask frame so users can swap between them with ease for more flexibility. The size can be found on the bottom of the cushion, marked either S, M, or L.
For fitting, please see the Airfit™ N20 Fitting Guide. The lower straps mainly provide stabilization of the cushion's position, while the upper straps adjust the fit. If addressing leaks or fitting issues, try adjusting the upper straps first. The manufacturer ships the AirFit™ N20 in a box rather than a traditional sealed bag.